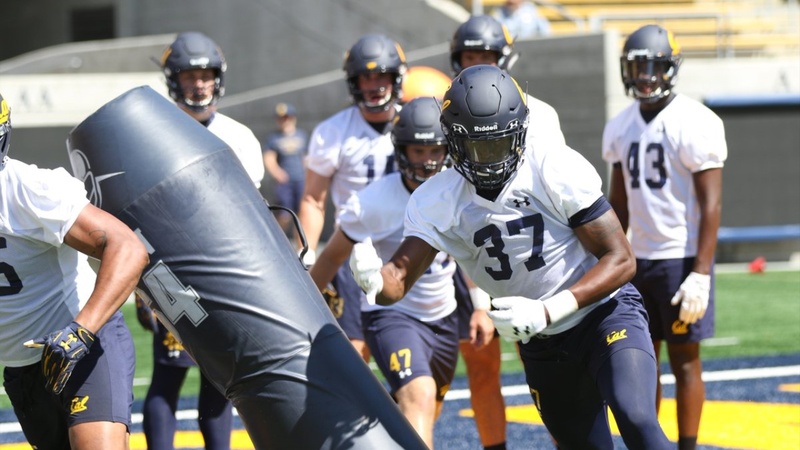 On the third day of fall camp Sunday the Bears were in pads for the first time. The hitting was still limited, but the workout was spirited. The coaching staff was certainly pleased and used superlatives to describe the day. “I really loved the energy today. I think the guys came out eager to compete against each other,” defensive coordinator Tim DeRuyter said. “And I think in the two-huddle drill I think we weren’t always playing, the offense wasn’t always playing, but the effort, the emotion the physicality of it was evident.